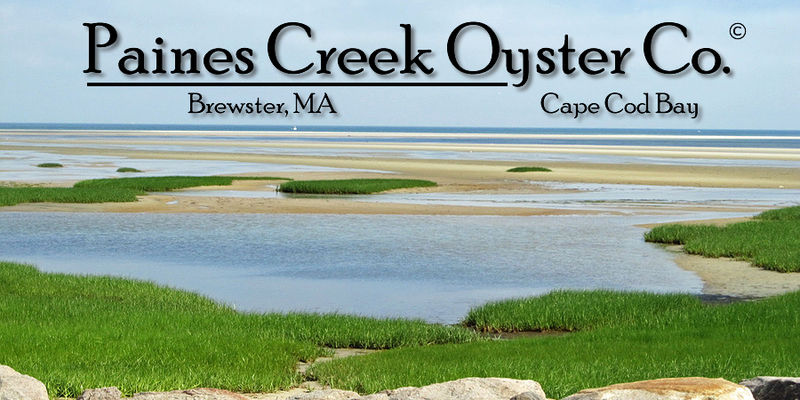 Cape Cod Bay's Paine's Creek provides the perfect combination of sun and clean water that gives our oysters their distinctive Cape Cod Bay flavor. Do you "grow" your own oysters? Yes we do. Like traditional land farmers we seed fresh oyster "seeds". It takes approximately 2 to 4 years for an oyster to reach harvesting size. Out of the millions of seeds not all survive, crabs and other predators love our oysters, too! 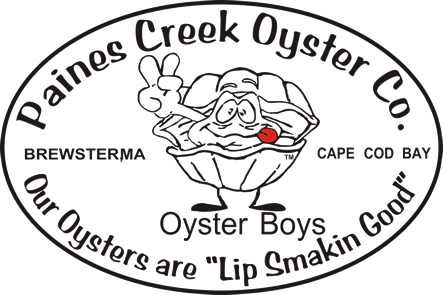 Where can we get Paines Creek Oysters? You can always find Paines Creek Oysters at Joey's Pizzeria, located at 197 Lower County Road in Dennisport. Are oysters a healthy food? Yes they are! Oysters are one of the most nutritionally well-balanced foods and is suggested as ideal for low-cholesterol diets by the National Heart and Lung Institute. Just a handful of medium size oysters can provide the recommended daily allowance of minerals like iron, magnesium, calcium, and phosphorus.